Dichanthelium dichotomum. By Arthur Haines Copyright © 2015.New England Wold Flower Society.gobotany.newenglandwild.org. (Accessed 4/2015). 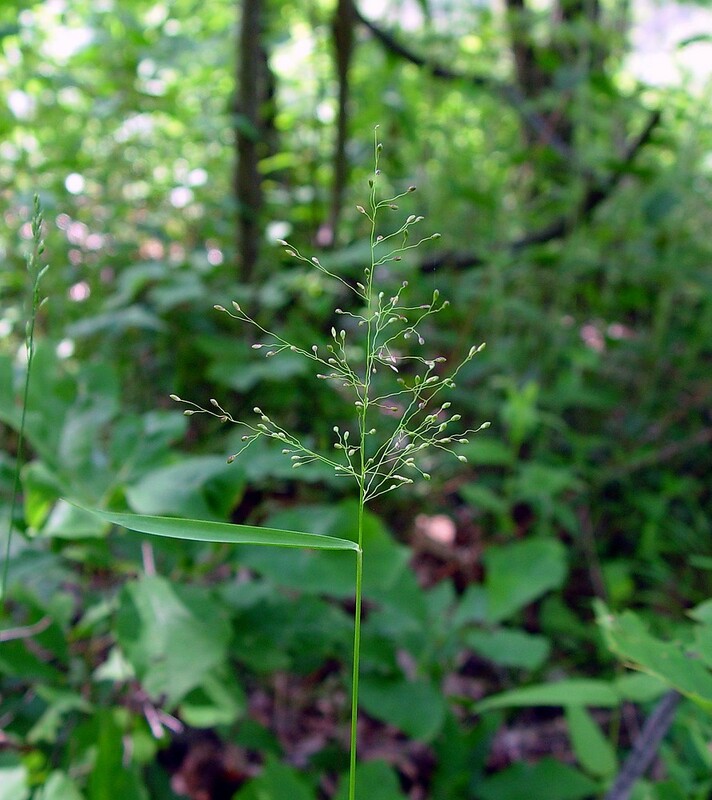 Dichanthelium dichotomum is a perennial C3 grass (Aliscioni et al. 2003) spring phase slender, in small tufts, woodland plants delicate, bright green; plants of open areas, robust, branching, 30 cm to 1 m tall, nodes often densely hairy, but sheaths and internodes mostly smooth, except sheath margins often long-hairy; spring phase very slender, sheaths shorter than internodes, autumnal phase branched above middle, often forming dense mats. Leaves 5-12 cm long, 0.3-1 cm wide, thin, flag leaf almost as large as next 2, leaves of autumnal phase branches shorter, winter rosette leaves very short, wide about 2 cm long, 0.5 cm, wide, ligule a band of hairs about 0.1 cm long or none, although top of sheath often with long-hairy margins. Flower spikelets 1-flowered, 0.2-0.3 cm, usually hairless or short hairy, first glume about 1/3 as long as second, second glume and sterile lemma shorter than fruit, spring panicle June-July; inflorescence an open panicle. Autumnal phase July-Nov; seeds eaten by birds and small mammals, (Martin et al. 1951). 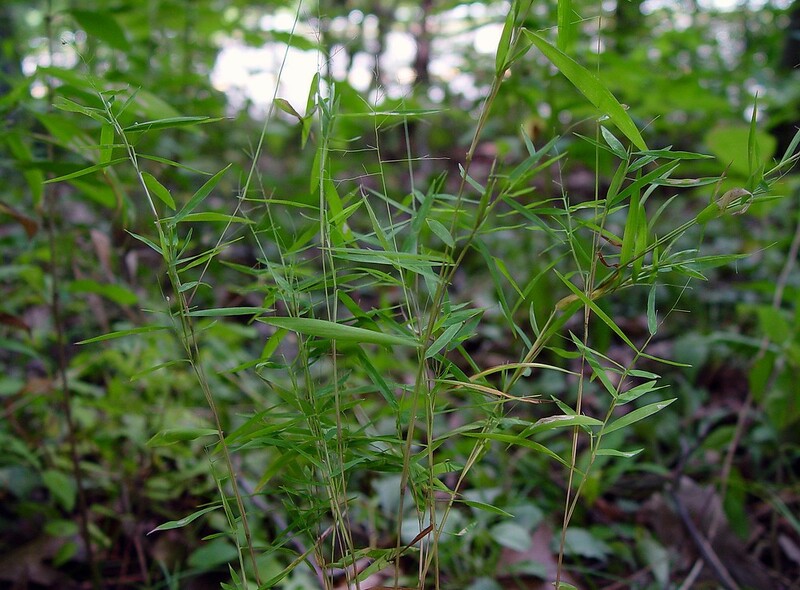 Habitat: Meadows or woods, shade tolerant. Notes: Plants eaten by rabbits (Martin et al. 1951).